Paid tournaments that use the tickets: In. Private servers that you can rent: In. Finally. 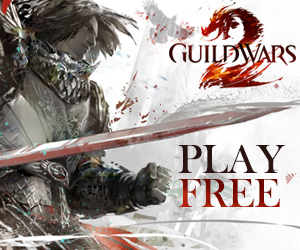 The most interesting parts of the post are below, but as always you can check the post on the Guild Wars 2 website. Yes, you read that correctly: you can win gems in paid tournaments. 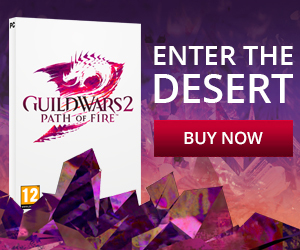 If you are REALLY good at GW2 sPvP, you can actually make gems while playing in paid tournaments. We think that’s pretty cool. Those gems can be used on anything in the store, including more tournament tickets! Alright. You’ve got your build. You have your 5-person team, and you’re really good at working together. You want a place to train. You want a place to challenge other teams (and by challenge, I mean you wanna slap down those punks who were talking trash in that tournament you just played!!!). You want the ability to play only the maps you want to play. You want a place where you and your friends can play without random people jumping in on the game. You rent a custom arena. Custom arenas are special PvP maps, rented by players, that will allow you to set up passwords, host scrims, and test strategies with your team. This will allow you to challenge other teams, work on your builds in secret, and test your skills 1-on-1 with friends. You can open the server up to everyone and set the map rotation you like best, or keep your arena password-protected so it serves as your private training ground. We expect custom arenas will be a massive boon to the sPvP community. These rentable arenas will allow you to break up into teams, have a place to call your own, and allow you to organize your own private tournaments. You can customize the arena the way you want it (within established parameters), and you can select which maps to play on. All I can say is; it’s about time, dammit.